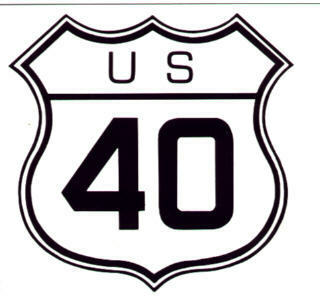 Welcome to the National Road/US 40 home page! Eventually this will lead to hundreds of photos, postcards and other images. For now it leads to two features. For the roadside fan, I've posted a gallery of classic signs from Route 40 in Nevada: 50 images from Reno to Wendover. On to Signs of the Nevada Roadside!